In some weird twisted way, Tim Burton's The Nightmare Before Christmas is like How The Grinch Stole Christmas' twisted little brother, and it's so great. The film has stood the test of time, and considering its continued pop culture influence, it only seems to grow more and more prominent each year. For those who wait all year to start watching it around Halloween time, good news! Jack Skellington is coming to a TV near you in the upcoming weeks — you can watch Nightmare Before Christmas on ABC Family's 13 Nights of Halloween. The 13 Nights of Halloween is a holiday unto itself, considering it's something we look forward to all year (where else are you guaranteed showings of Beetlejuice and Hocus Pocus back to back?). The 13 nights start on Sunday, October 19, and you can catch Nightmare Before Christmas at 10 p.m. ET/PT that evening. If that's not enough for you, it'll replay the next night at 6:30 p.m. ET/PT (Oct. 20). Still not enough Oggie Boogie? How about another showing on Oct. 23 at 9:30 p.m. ET/PT and Friday, Oct. 24 at 7 p.m. ET/PT. Set your iCalendars accordingly. 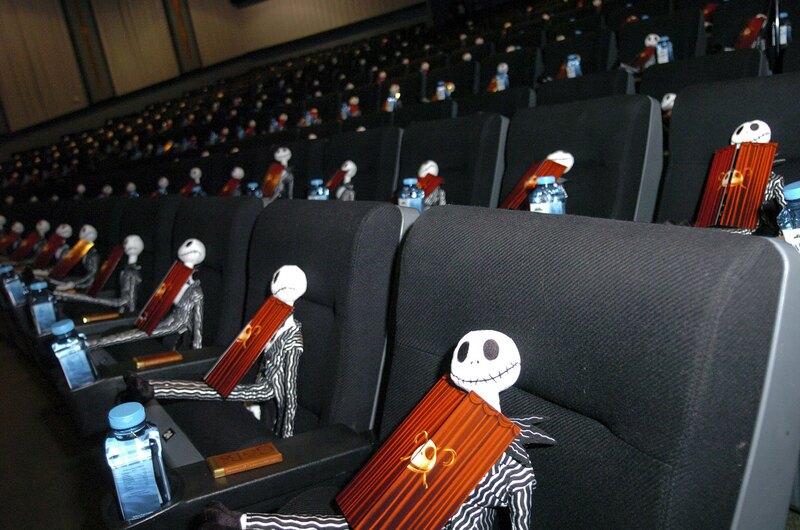 You can start streaming Nightmare Before Christmas right now on Netflix instant watch. You can watch Nightmare Before Christmas every day between now and Christmas if that's what you're in to (and thus, squashing the debate as to when is the best time to watch it, because the best answer is "everyday"). Or, if you're someone who is like, no, let me individually rent each movie I watch, you can get it for $2.99 on Amazon Instant Watch, but it is only a three-day rental and that's not enough time to appropriately binge it. The movie might already be streaming On Demand, depending on your cable provider. It appears to be there if you've got DirecTV, but shout out to my cable provider, Charter, where it is MIA. Do you not realize it's Halloween time, Charter? What is wrong with you? Sometimes, HBO and Showtime will throw the movie in to their schedule, but so far no viewings are scheduled. Their movies are usually updated on Sundays, so it wouldn't hurt to check back later. Considering the movie is twenty years old (almost legal to drink! ), you're bound to find it cheaply at some big retailer. I know I bought the movie a few years ago for five dollars in a bargain bin, and hailed it as my best purchase of the week. It might be hard to find it cheaply this time of year, but it never hurts to try. You might even stumble upon Corpse Bride and Frankenweenie, too. Those will perfectly set you up for a Tim Burton stop-motion trilogy.